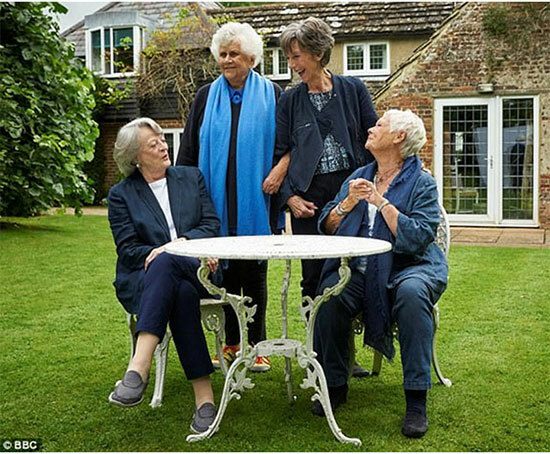 If "there is nothing like a Dame," imagine what it would be like to spend a weekend with four of them! Well, that’s exactly what a BBC production crew recently did when they filmed four of Britain’s most distinguished actresses for a documentary aptly titled Nothing Like A Dame. Directed by Roger Michell, husband of Anna Maxwell Martin, who played Susan in The Bletchley Circle and Elizabeth Darcy in Death Comes to Pemberley, the 90-minute documentary was filmed at the home of Dame Joan Plowright in Sussex. Also participating were Dames Judi Dench, Maggie Smith, and Eileen Atkins. The four actresses were filmed reminiscing about their careers, and particularly about the lack of opportunities for older women in the acting world. Although according to Dame Maggie, who turns 83 at the end of December, there’s a good reason for that – Dame Judi takes them all! In typical Lady Violet fashion, according to The Telegraph, Smith joked, "Judi's always there. 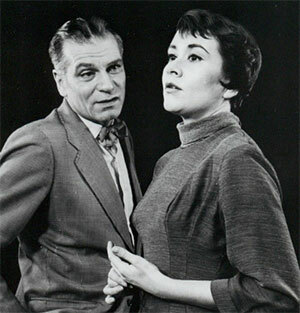 It was Joan Plowright who said that to me: 'There are always parts, but Judi gets her paws on them first.'" Plowright, who as well as being a Dame also holds the title Baroness Olivier, from her marriage to Laurence Olivier, who died in 1989, is the oldest of the four Dames. She turns 88 next month and was forced into retirement in 2014 when she lost her eyesight to macular degeneration. It’s a well-known fact that Dame Judi suffers from the same condition. As she recently told Good Housekeeping magazine though, she is “dealing with it, getting on with it, doing what I can do”. 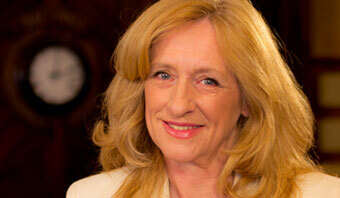 Which includes starring in two new films. Victoria and Abdul, which opens in on September 22nd is about Queen Victoria’s friendship with an Indian servant named Abdul Karim. Dench, who is 19 days younger than her friend Maggie Smith and will also be turning 83 in December, plays Victoria – naturally! Then in November, she can be seen in another royal role, Princess Dragomiroff, in the Kenneth Branagh directed film, Murder on the Orient Express. (Branagh plays the Belgian detective, Hercule Poirot!). Dame Eileen, who turned 83 this past summer, has also been busy. She played Queen Mary in the Netflix series The Crown and this week can be seen on British tellies in the first episode of Doc Martin, Season 8, which should be coming to MPT sometime next year.